"Six Perfections" redirects here. For the race horse, see Six Perfections (horse). For the Filipino band, see Paramita (band). Pāramitā (Sanskrit, Pali) or pāramī (Pāli) is "perfection" or "completeness". While, technically, pāramī and pāramitā are both Pāli terms, Pali literature makes far greater reference to pāramī. The term pāramitā, commonly translated as "perfection," has two etymologies. The first derives it from the word parama, meaning "highest", "most distant", and hence "chief", "primary", "most excellent". Hence, the substantive can be rendered "excellence" or "perfection". This reading is supported by the Madhyāntavibhāga (V.4), where the twelve excellences (parama) are associated with the ten perfections (pāramitā). A more creative yet widely reported etymology divides pāramitā into pāra and mita, with pāra meaning "beyond", "the further bank, shore or boundary," and mita, meaning "that which has arrived," or ita meaning "that which goes." Pāramitā, then means "that which has gone beyond," "that which goes beyond," or "transcendent." This reading is reflected in the Tibetan translation pha rol tu phyin pa ("gone to the other side"). Theravada teachings on the pāramīs can be found in late canonical books and post-canonical commentaries. Two of the above virtues, mettā and upekkhā, also are brahmavihāras. The Theravādin teachings on the pāramīs can be found in canonical books (Jataka tales, Apadāna, Buddhavaṃsa, Cariyāpiṭaka) and post-canonical commentaries written to supplement the Pāli Canon at a later time, and thus might not be an original part of the Theravādin teachings. The oldest parts of the Sutta Piṭaka (for example, Majjhima Nikāya, Digha Nikāya, Saṃyutta Nikāya and the Aṅguttara Nikāya) do not have any mention of the pāramīs as a category (though they are all mentioned individually). Some scholars even refer to the teachings of the pāramīs as a semi-Mahāyāna teaching added to the scriptures at a later time in order to appeal to the interests and needs of the lay community and to popularize their religion. 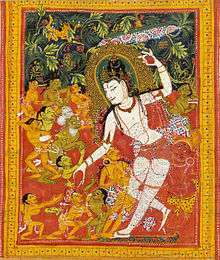 However, these views rely on the early scholarly presumption of Mahāyāna originating with religious devotion and appeal to laity. More recently, scholars have started to open up early Mahāyāna literature, which is very ascetic and expounds the ideal of the monk's life in the forest. 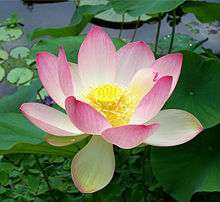 Therefore, the practice of the pāramitās in Buddhism is close to the ideals of the ascetic tradition of the śramaṇa. It should be noted that in established Theravāda tradition the pāramīs are not regarded as a discipline peculiar to candidates for Buddhahood alone but as practices which must be fulfilled by all aspirants to enlightenment and deliverance, whether as Buddhas, paccekabuddhas, or disciples. What distinguishes the supreme bodhisattva from aspirants in the other two vehicles is the degree to which the pāramīs must be cultivated and the length of time they must be pursued. But the qualities themselves are universal requisites for deliverance, which all must fulfill to at least a minimal degree to merit the fruits of the liberating path. Note that this list is also mentioned by the Theravāda commentator Dhammapala, who says it is equivalent to the above list of ten. According to the perspective of Tibetan Buddhism, Mahāyāna practitioners have the choice of two practice paths: the path of perfection (Sanskrit: pāramitāyāna) or the path of tantra (Sanskrit: tantrayāna), which is the Vajrayāna. When we say that paramita means "transcendent action," we mean it in the sense that actions or attitude are performed in a non-egocentric manner. "Transcendental" does not refer to some external reality, but rather to the way in which we conduct our lives and perceive the world - either in an egocentric or a non-egocentric way. The six paramitas are concerned with the effort to step out of the egocentric mentality. The pure illusory body is said to be endowed with the six perfections (Sanskrit: ṣatpāramitā). ↑ Lopez 1988, p. 21. ↑ Regarding the Cariyāpiṭaka, Horner (2000), Cariyāpiṭaka section, p. vi, writes that it is "[c]onsidered to be post-Asokan...."
↑ "It is evident that the Hinayānists, either to popularize their religion or to interest the laity more in it, incorporated in their doctrines the conception of Bodhisattva and the practice of pāramitās. This was effected by the production of new literature: the Jātakas and Avadānas." Nalinaksha Dutt (1978) Buddhist Sects in India. Motilal Banarsidass Publishers (Delhi), 2nd Edition: 251. The term "Semi-Mahāyāna" occurs here as a subtitle. ↑ The passage is translated in Bodhi (1978), p. 314. ↑ Ray, Reginald A. (ed.) (2004). In the Presence of Masters: Wisdom from 30 Contemporary Tibetan Buddhist Teachers. Boston, Massachusetts, USA: Shambala. ISBN 1-57062-849-1 (pbk. : alk. paper) p.140. Apte, Vaman Shivaram (1957-59). Revised and enlarged edition of Prin. V. S. Apte's The Practical Sanskrit-English Dictionary. Poona: Prasad Prakashan. Bodhi, Bhikkhu (1978). The All-Embracing Net of Views. Kandy: Buddhist Publication Society. Bodhi, Bhikkhu (ed.) (1978, 2005). 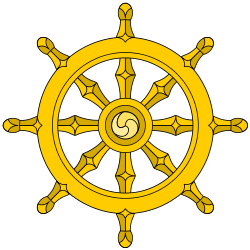 A Treatise on the Paramis: From the Commentary to the Cariyapitaka by Acariya Dhammapala (The Wheel, No. 409/411). Kandy: Buddhist Publication Society. Horner, I.B. (trans.) (1975; reprinted 2000). The Minor Anthologies of the Pali Canon (Part III): 'Chronicle of Buddhas' (Buddhavamsa) and 'Basket of Conduct' (Cariyapitaka). Oxford: Pali Text Society. ISBN 0-86013-072-X. Lopez, Donald S., Jr. (1988). The Heart Sutra Explained: Indian and Tibetan Commentaries. SUNY Press. ISBN 978-0-88706-589-7. Rhys Davids, T.W. & William Stede (eds.) (1921-5). The Pali Text Society’s Pali–English Dictionary. Chipstead: Pali Text Society.